Every day we get some of the best custom and mid-tech knives from the greatest knife designers delivered straight to our door. As you can imagine, it’s pretty much Christmas year-round over here at KnifeCenter. 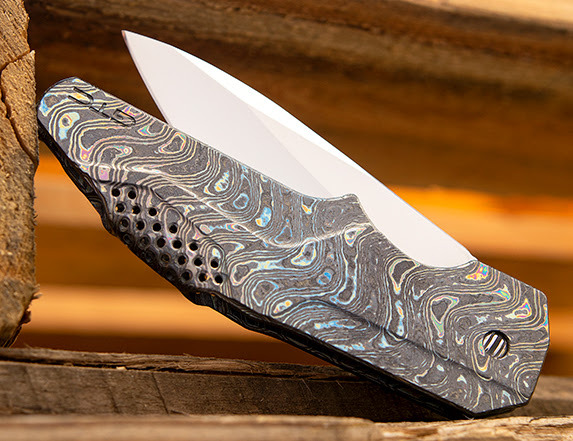 This week we’re showing off tactical knives that can only be described as works of art, including new Microtech Socom Elites and a Liong Mah Warrior 2 V2 flipper. Coming soon we’ll have Tac Butchers and Mini Cleavers from ADV, more Spectras and the Mini Decepticon from CKF, and new Microtech Limited Edition Cypher MK7s. Talk about one heck of a wish list! This GTC Commando flipper is the epitome of tactical art featuring a stunning integral Zircu-Ti handle. 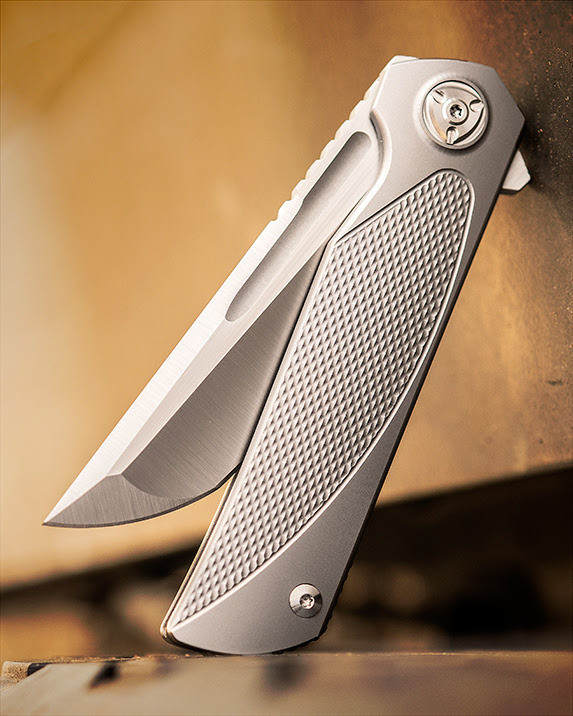 This eye-catching material wraps around the spine of the knife and even folds over to form the pocket clip, all in a single piece! If you are brave enough to carry the Commando, a CPM-154 blade and sturdy frame lock ensure this knife is more than just a pretty face. 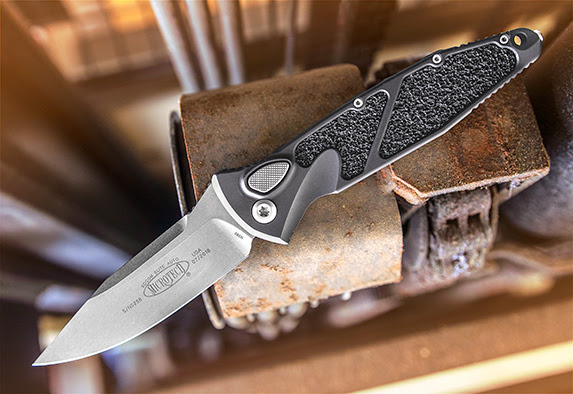 With the Warrior 2 V2, Liong Mah has finally bridged the gap between production and custom knives with this elegant tactical cutting tool. 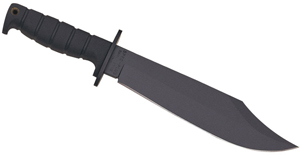 The M390 blade has a slight amount of belly like a traditional Japanese Tanto, with compound grinds and a long swedge to aid in penetration. 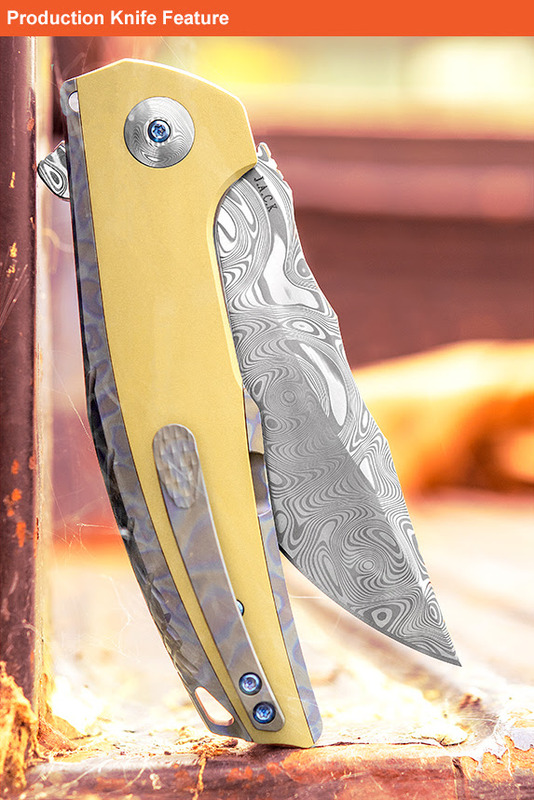 One of the cooler features here is the hidden lanyard hole at the end of the milled titanium handles. 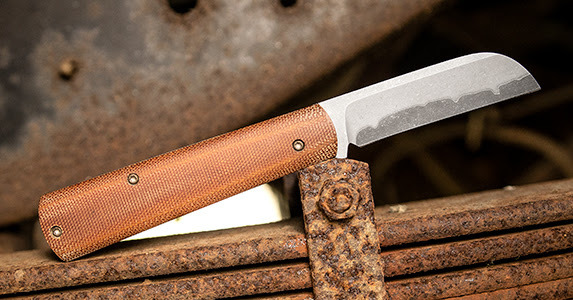 Looking for an Anthony Griffin custom but can’t decide what steel you want? We’ve got you covered. We’ve got Damascus, San Mai, and CPM-10V and 90V across a range of models encompassing modern and traditional designs. Our favorite, though, has to be the one handed opening slipjoints! From one of the foremost names in the switchblade game comes a new batch of both manual opening and automatic Socom Elites. The original Socom set the standard for tactical/utility cutlery and today it is better than ever in both clip point and tanto profiles. No matter which action you choose, these knives mold to your hand and are ready to rock. If you like the Hoback Dashi above but want something a little bit bigger, check out these Japanese-inspired neck knives from Wally Hayes. 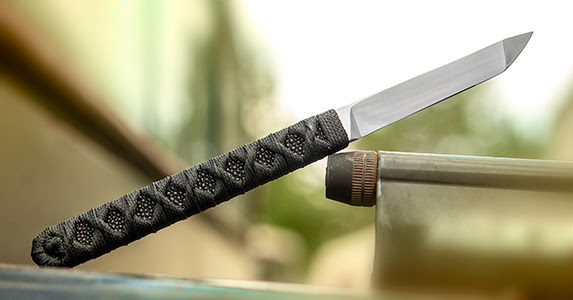 These tanto blades are ready for neck carry right off the bat, and traditional wrapped rayskin handles keep the grip comfortable without adding too much bulk. How do you take the gold standard by which all other titanium frame locks are judged and make it even better? With custom milled and inlaid handles, that’s how! 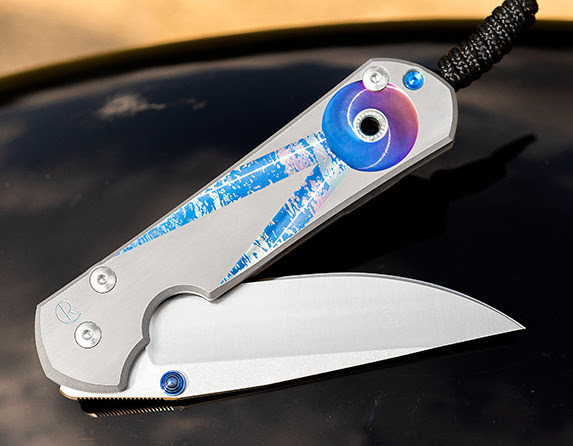 The Chris Reeve Sebenza is coveted by many, and these unique graphic patterns and cabochon inlays will ensure style and collectibility for years to come. 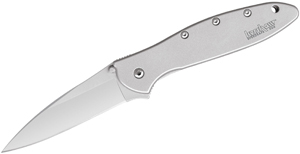 M390 stainless steel and single piece titanium construction make the J.A.C.K. 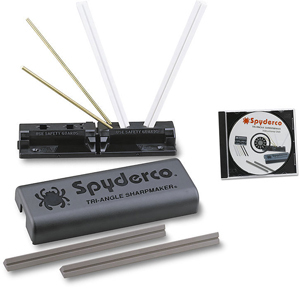 a heck of a statement piece ideally suited for hard use. What sets these Reate knives apart from other brands is their Freeze Edging process; they are able to cool the edge as it is sharpened, preventing any degradation of the heat treat and ensuring a more durable edge.